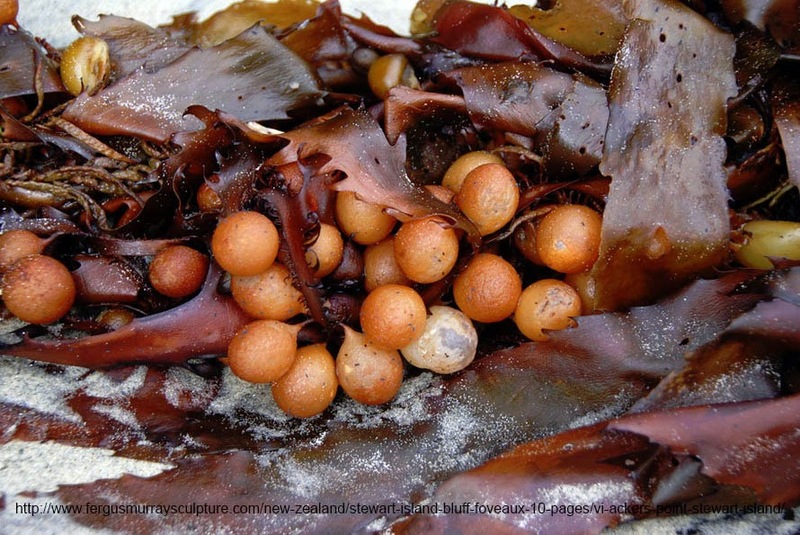 Macrocystis pyrifera is a species of marine plant commonly called giant kelp. Forests are usually terrestrial, and are usually comprised of several species of trees. Giant kelp grow so large and in such densities that it is hard to describe their ecosystems as anything other than forests. They have been known to grow over 50 meters tall. They don't waste time either, under good conditions they can grow at 60 cm per day. At that rate they can grow human sized in jest 3 days. There are a lot of animal species which depend on kelp forests for survival. 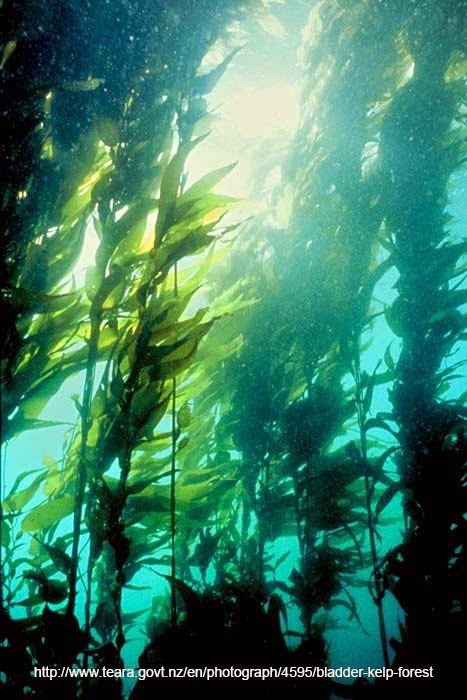 Kelp don't have trunks made from woody fibers to keep them upright like large terrestrial land plants and only manage to stay upright because of gas filled bladders which give them buoyancy. 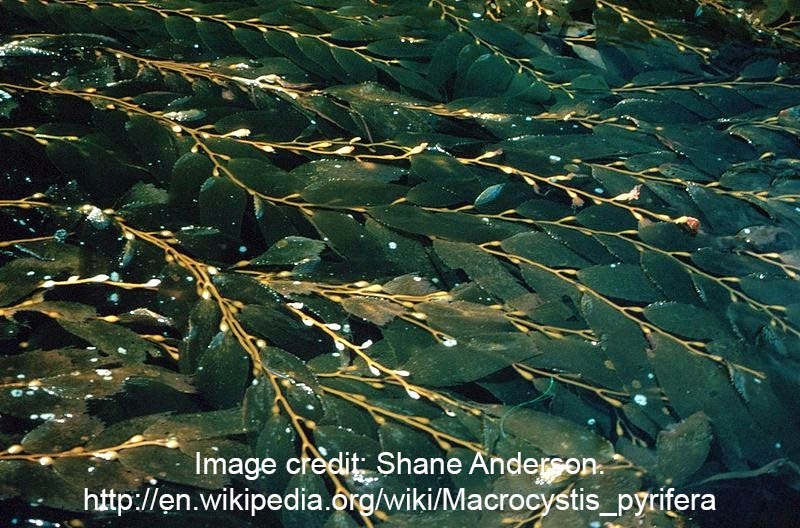 Macrocystis pyrifera is found in cool coastal waters in disjunct locations across the globe. It can be seen in most temperate Southern coastal regions as well as the West coast of North America. I'm not sure where I stand on this whole breaking up of the plant kingdom, and I am no botanist so I guess I will roll with what seems to be the prevailing opinion.